There’s always been a bit of mixed reaction to premium compact cars in this country. Just the idea of a premium compact or subcompact may bring up visions of the woeful 1980s Cadillac Cimarron, which was basically a posh, expensive Chevrolet Cavalier. A few others have tried the formula; there was the Infiniti G20 and Acura’s own Integra as well as the Volvo S40. Audi still offers the A3, Lexus has the smallish ct 200h. You could probably lump the BMW 1 Series and even the MINI brand in there, too. Many of these cars have been gateways into premium or luxury brands. One of the best successes was the Integra, which was sold from 1986 through 2001. The Integra was, of course, replaced by the compact RSX coupe, which was sold until 2006. However, premium small cars have always been a tricky formula. Will buyers shell out extra cash for a leather-clad efficient premium small car? I’d say, other than the A3, MINI, and the Integra, most premium small cars have had lukewarm success here in the States. Acura, Honda’s premium brand, hasn’t had an entry-level car in the U.S. since the RSX. 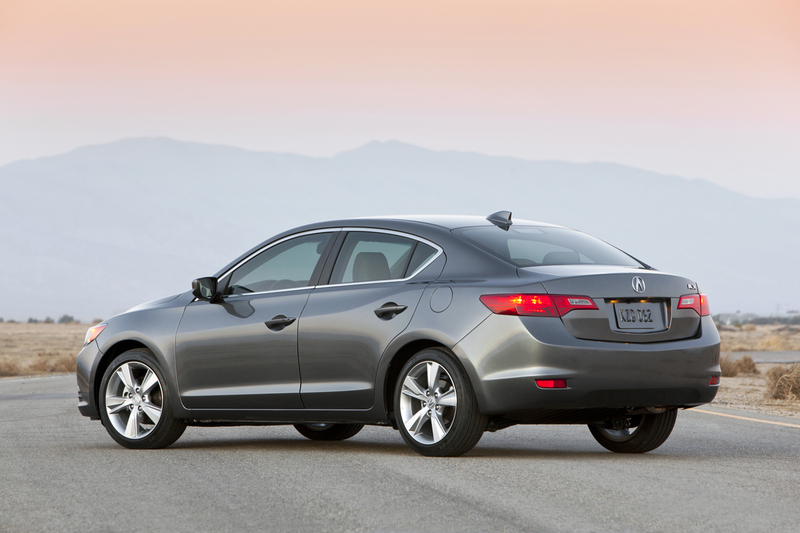 For 2013, Acura is going to give it another go with the new ILX. The ILX is based on the Honda Civic platform, although it wears different sheet metal and has a different interior, among other things. Although it’s easy to say the ILX is simply a Civic in a tuxedo, it isn’t. Our model featured a five-speed automatic coupled to the base engine—a 2.0-liter mill making 150 horsepower and 140 ft./lbs. of torque. For comparison’s sake, the base engine in a Civic is a 1.8-liter, which makes 140 horses and 128 ft./lbs. of torque. This premium sedan also drinks premium fuel and gets 24 city and 35 highway MPG. It should be noted the ILX is also available with the brilliant engine from the Honda Civic Si—the 2.4-liter, 201 horsepower four cylinder with a six-speed manual—or in hybrid guise with a CVT. Our 2.0-liter ILX tester made adequate power, but that’s about it. I’ve driven the 2.4-liter version with the six-speed manual, and it’s a blast. The 2.0 liter version isn’t nearly as fun, but does return a few better MPGs. Unlike the 2.4-liter variant, the 2.0 only comes with an automatic (the 2.4 only comes with a six-speed manual). I will say the ILX’s engine is smooth, and the automatic makes transparent gear changes. It does have a manual mode, too. And if you’ve got to use a “manumatic” shifter, Acura’s is one of the best. The bottom line is the ILX 2.0 isn’t fast, but it is a smooth operator, and yes, that’s a Sade reference. Once under way, the ILX handles admirably, and rides smoothly at highway speeds as well as around town. We noticed quite a bit of road noise, though, more than we remembered from our time with the ’12 Honda Civic. This could be in part due to the low profile 215/45/17 tires. Other than the road racket, the ILX is a comfortable cruiser as well as a capable urban runabout. Its size is still small enough to easily park downtown, and you’ll have no worries while cruising the Interstate, either. Like all other Acura vehicles, the interior is very solid and comfortable. There’s all the tech you could possibly want: navigation, Bluetooth, an impressive stereo, rear-view camera, and so on. Ours came with a power moonroof, heated leather seats, a big LCD center display, and easily readable gauges. My only complaint is the complaint I’ve had about Acura vehicles for the past few years: There are tons and tons of buttons. For everything. Everywhere. Once you figure them out, the ILX has a very plush interior that feels as nice as many of the more expensive vehicles in the lineup. I am not much of a fan of the current Honda Civic’s styling, but I do like the ILX’s (as SCC contributor, Scotty, pointed out, for $10,000 more dollars, you’d better like it!). It’s not flashy, but it’s not vanilla, either. I think it’s attractive and looks clean and sophisticated. Our tester stickered at $32,295 including $895 in destination fees. If you’re willing to forego some of the tech bits, you could get into the car for $26,795 including destination, and you’ll still get leather and many other luxurious accoutrements. It should be noted that a larger four-cylinder TSX (with the 2.4-liter engine) can be had for $31,405 including destination, although it isn’t going to have the Technology package. Frankly, I’m glad to see Acura offering a new way to attract customers to the lineup. It also might attract more empty nesters who no longer need a vehicle the size of the TSX or TL, both of which we've reviewed. It’s also a nice to get luxury car touches in a smaller, more fuel efficient package. I still have a couple of questions, though. Are buyers willing to spend as much as $32,000 on a compact, premium sedan that only makes 150 horsepower? Also, will this model cannibalize four-cylinder TSX sales? Then again, maybe it’s the TSX that’s the odd-man out as it competes now with the ILX in four-banger trim as well as the TL in six-cylinder trim. We’ll have to wait and see how the ILX does. If it were me, I’d opt for the 2.4-liter ILX with the six-speed manual and skip the 2.0 with the auto. Reminds me of the old Integra with the B18 VTEC engine, which was also a gem. 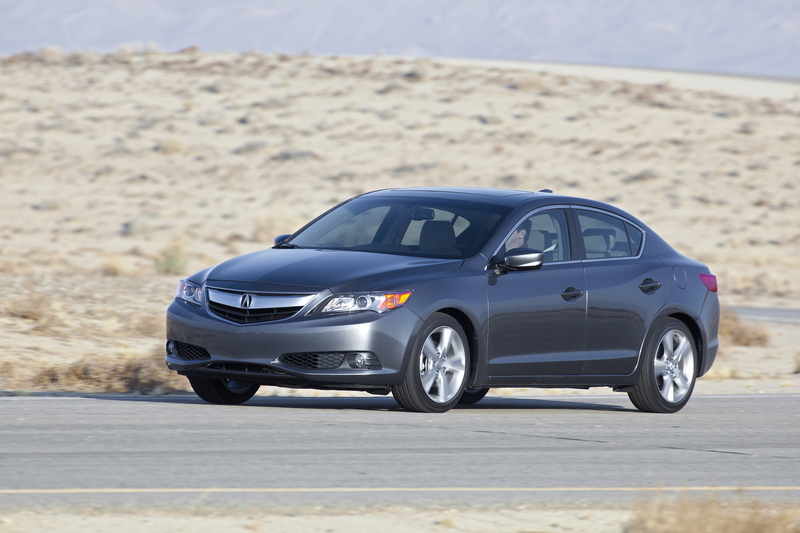 Regardless, the ILX is a solid smaller choice for those who do want a smaller premium sedan. So it's not exactly apples to apples but would you rather have a Civic Si with nav system for around $25k? At that point you're really looking more at a performance car than a luxury car, but the Si is still a pretty nice ride, more powerful, and $5k less. I'd probably go with the Si for #25K. Plus, you get a limited-slip differential—an item not available on the ILX (not even the 2.4). I still prefer the looks of the ILX more. Yeah, The ILX is prettier for sure. I own the new Civic but I think it looks like a melted bar of soap. 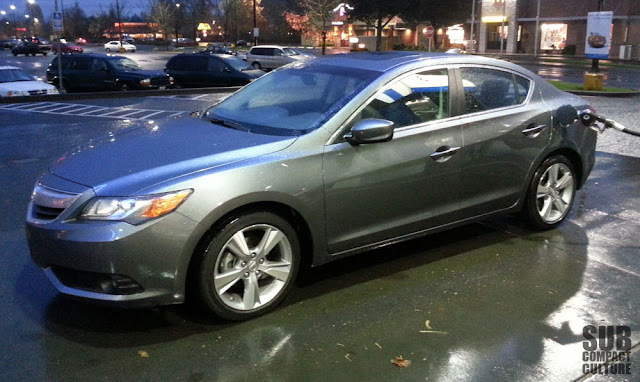 As a former Integra owner, I am very disappointed by the ILX. And given the other cars in this price segment, like the Buick Verano (260HP), it has a very low value to me. - John S.
The first Anonymous mentioned the Verano - I definitely think this looks better. The Verano's too obviously a hatchback with a trunk tacked on, specifically an Opel Astra. How very 1999 of Buick to do that and not offer the hatchback model in the US.